After a series of complaints against Monero (XMR) due to the recent botnets that are being used by miners to mine Monero and the attempt by Monero developers to change the proof of works, Monero community could no longer bear the pressure. At last the cryptocurrency was hit by yet another hard fork on 6th April this year, resulting in the formation of Monero Classic (XMC). Those behind the Monero Classic accuse the original Monero developers of trying to kill he decentralization of the cryptocurrency by changing the proof of works making the network more centralized and thus eroding the gains made. In a way the Monero XMR community seemed conditioned to follow whatever the developers did even when it was not according to the interest of the community. After most hard forks, the resulting crypto coin, usually struggles a lot to get back to its foot. This is usually takes place when the hard fork was caused by reasons that aren’t substantial enough. However, for the Monero Classic (XMC), it has found it quite easy to climb up the ladder. As of now its token’s value is $17.86 USD. This is quite an improvement considering it started at less than $1 USD. For the Monero users who changed from Monero XMR to Monero Classic, they get the same amount of Monero Classic as their Monero XMR. For example, if a user had 2345 Monero XMR, then he/she would acquire 2345 Monero Classic. The only unfortunate thing is that the value will depreciate since the value of Monero XMR is higher than that of Monero Classic. But with the steps that Monero Classic is making, it will soon get past Monero XMR. 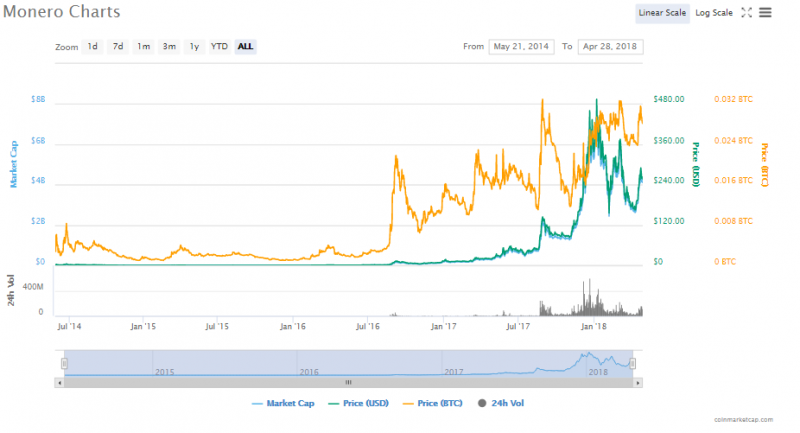 Although Monero XMR currenctly enjoys a higher value; a single token going for $256.53 USD, which is 14 ties higher than that of Monero Classic, the factors that led to the Hard fork could result to the downfall of Monero XMR if not addressed. 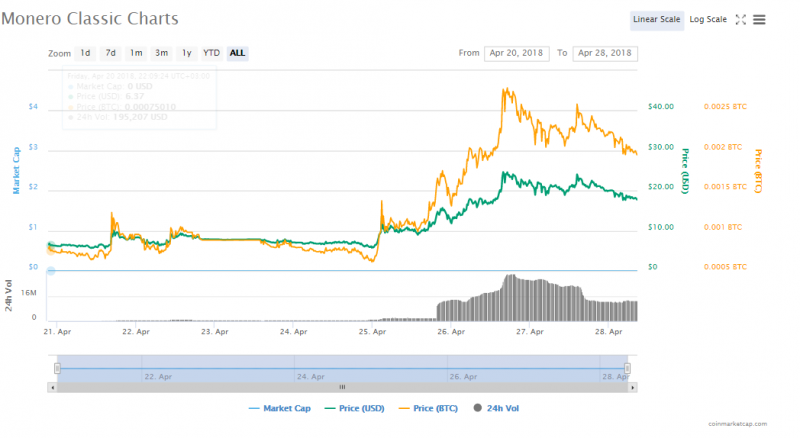 Although from the chart history, the coin has gained grounds after the hard fork, it will be hard to sustain the trend if the problems aren’t solved. Where to invest; Monero XMR or Monero Classic? For investors wishing to invest in Monero at the moment, Monero Classic is the best option. It is not always that the digital asset with the highest value is the best. No. You also have to look at the future prospects of the asset. The future of Monero Classic is very Bright considering it was formed to try and resolve the problems facing Monero XMR. Again, looking at the bullish trend that it has portrayed in its value, it shows that very soon the crypto coin will be hard to afford. With time crypto exchanges are starting to accept it and list it in their exchange platforms. This follows an assurance from Hitbtc Crypto Exchange that it will list the digital asset. This is a major boost considering that Hitbtc is one of the major exchanges in the world meaning there will be quite a number of crypto traders who will get a chance to enjoy trading Monero Classic (XMC).